Docany JPG to PDF Converter is an easy-to-use software, which can directly used for batch convert a large number of image formats such as JPG, GIF, PNG, BMP, TIFF and so on, into PDF file. Only need a few mouse clicks, it could convert hundreds of JPG images to PDF. 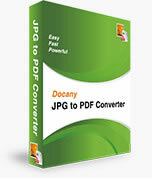 With Docany JPG to PDF Converter you can easily combine multiple JPG images into one PDF file or convert each JPG file into a separate PDF file. Convert hundreds of image files to PDF documents at a time with just a few mouse clicks. Convert image files with super high speed, support multi-core processing. Both amateur and professional users can deal with image files easily. Convert hundreds of image files to PDF documents at one time in batch mode. 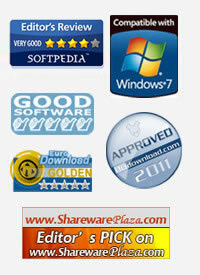 Convert images into one PDF file or separate PDF files. Can combine multiple JPEG images into one PDF file . Support setting PDF compression ratio, page size, etc..
How does Docany JPG to PDF Converter works? Launch the program. Add image files for conversion. Specify conversion options and destination folder for saving files and press "Start" button. This is all you need to know to successfully use the program and get professional results. Even if you never dealt with image converters before you will master the program in seconds.